Maj. Kristi Schmitt, a Scott City native, will become the Officer in Charge of Task Force Broncbuster on Sunday, Jan. 8 at 10 a.m. at the Garden City Armory, 1802 East Spruce Street, Garden City. Task Force Broncbuster is a partnership between the Kansas Army and Air National Guard, and Garden City Community College. The Task Force Broncbuster partnership is the first of its kind amongst community colleges in Kansas. The new linkage will provide an opportunity for soldiers to gain valuable civilian and military education in a traditional student setting on the Garden City Community College campus. 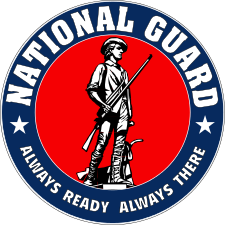 In addition to educational opportunity, this new partnership will provide Kansas National Guard soldiers with access to a Readiness Center for use in accomplishing military training. The Kansas National Guard will have offices located in the front portion of the college’s new welding center. The partnership will focus on soldier academic and military success, made possible by soldier’s ability to utilize GCCC’s infrastructure to train and get a degree at the same time.